If you’re driving from Cherokee, Galbreath Creek Road is a convenient shortcut from Highway 19 into the Deep Creek area of the Great Smoky Mountains National Park. The unpaved portion within the Park is a quiet country road that hasn’t changed much in decades. 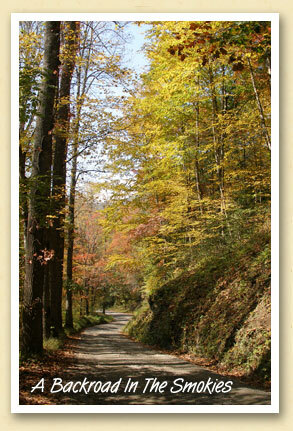 Linda Stephenson shot this handsome portrait of Galbreath Creek Road last Fall. She says “Deep Creek is and has been a very special part of my life for many years.” And a lot of people must share that sentiment because Linda’s photo won the People’s Choice award at The Marianna Black Library‘s “Life in Swain” amateur photo contest last year.